I am constantly barraged by travelers who have been to Rio de Janeiro who all tell the exact same story. They tell of a story that Rio was supposed to be this crime ridden city full of violence and that at any given time the people of the favelas could swarm down from the hills and attack the beaches. But with glowing smiles on their faces almost everyone looks at me and says “but Rio was amazing!” Rio de Janeiro has garnered a bad reputation, due to some reasons explained in the article I wrote recently called “Rio and the Bad News Bears.” But Rio de Janeiro has an opportunity when they host the 2016 summer Olympics and the upcoming World Cup, to show the world what kind of city it really is. 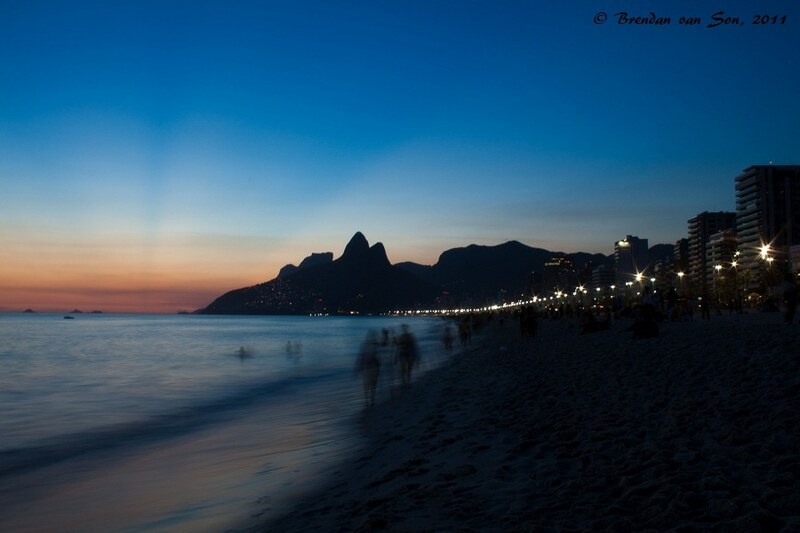 When the world sees Rio it will see its fine sand beaches like Copacabana and Ipanema which stretch for kilometres and are dotted by some of the most beautiful people in the world. Dramatic mountains rise from the water and are painted in rich green vegetation. Calm waters sparkle in full turquoise colours as gentle waves roll on the beach chasing the children playing in its tides back to their relaxing parents. 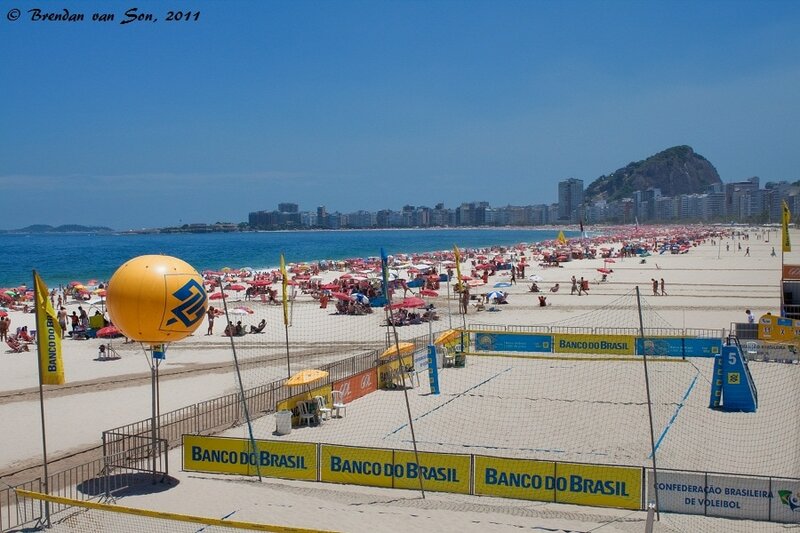 Full games of soccer, volleyball, and a perfect combination of the two foot-volley, are played in the soft sands as Christ the Redeemer stands watch over it all. When the world sees Rio it will see a proud history laden with stories. These great tales play out in the architecture and stone work of the downtown buildings such as the glowing national theatre. The story’s words are literally written in the books shelved in the old library which exudes character. The city’s legends are told by old men you sit in parks and chatter about everything from football to, well, football as they toss dice, plot their next chess move, or toss dominos. When the world sees Rio it will see a diversity like nowhere else in the world. People from all walks of life form Brazilian society and the diversity itself has become a part of the national fabric. Rhythms deeply rooted in African history drum the mood of the famous samba while people of European, Asian, and African descents alike move in unison. When the world sees Rio it will see the smiles that stretch their way across the faces of a truly happy people who take pride in their ability to enjoy life. Songs carry out through the air like secrets wherever you go, the story tellers are not embarrassed by their tune but proud of their expressions. Strangers are greeted by wide grins regardless of their particular origin. Couples walk down the beaches hand in hand with romantic grins as the sunsets on their day. 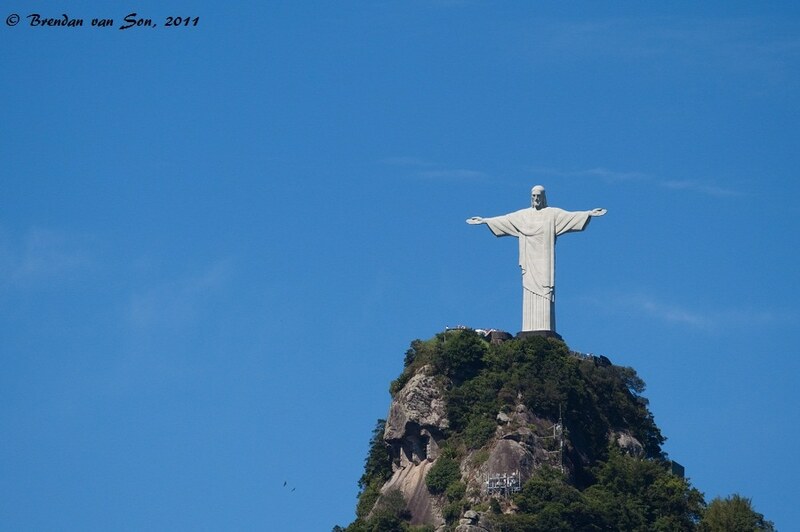 When the world sees Rio it will see its beauty, it will see its charm and it will see its pride. A character can only be translated to a certain point through written words or spoken stories, but when Rio de Janeiro has its chance on the stage of our wide world it will not fail, it will not let itself down. When the world sees Rio it will fall in love. I loooove that! All I can say is AMEN to this post!!! I have been saying the exact same thing for the last year re: Rio. I’ve thought about this alot and truly cannot wait until “the world sees Rio”! I really hope the Olympics and WC coverage does the city justice and people come to realize what an incredibly beautiful, diverse and safe. Great post! Rio is right now the frontrunner to be the first stop on my RTW trip starting this New Year’s, I have really enjoyed your writing on it!